The ICC released an Invitation To Tender for live Cinema Screening Rights to the ICC Cricket World Cup 2019. The 12th edition of the cricket World Cup and the fight for the most covated World Cup trophy starting from May 30 to July 14, 2019, in England and Wales. ICC is putting all possible efforts to make the upcoming World Cup a great success.England will take on South Africa in the opener on May 30, 2019, at the Oval in London. 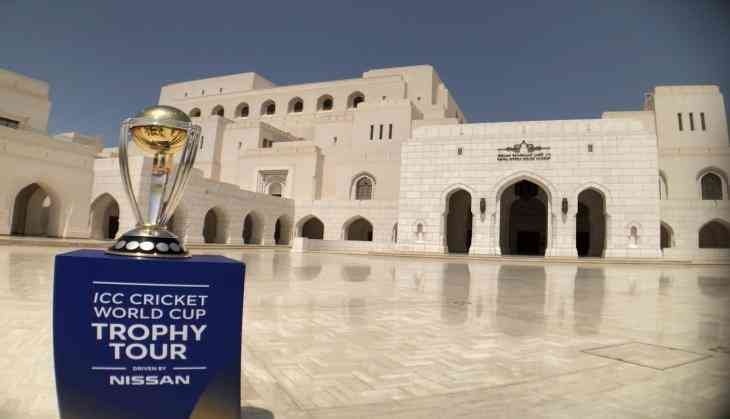 A gorgeous day in Muscat, Oman to start the #CWCTrophyTour driven by @Nissan. Find out when we're coming to your part of the world! According to the reports of CricketAddictor, “The ICC Cricket World Cup 2019 is the pinnacle of ODI cricket and provides the ICC and the world of cricket with an opportunity to engage with existing and new fans across different platforms, ensuring greater access to the sport and one of its biggest events,” said Aarti Singh Dabas, Head of Media Rights, Broadcast & Digital. “Cinema screenings offer a unique opportunity to diversify the coverage of ICC Cricket World Cup 2019 and engage with families and other fans, in a social environment where the purpose is to enjoy watching cricket and be entertained." “We are looking forward to partnering with interested parties, around the world, and connecting with existing fans and a whole new audience of cricket followers,” she added.